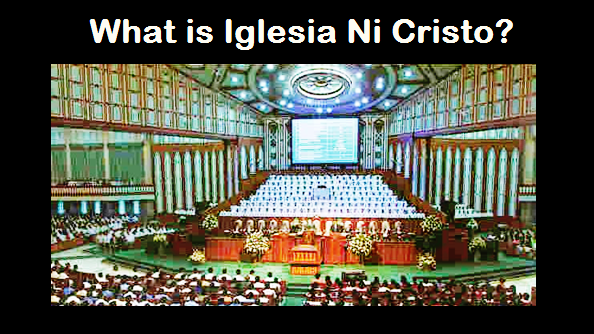 ALL THE BELIEFS of the Iglesia Ni Cristo (Church Of Christ) are solely based in the Bible. Thus, our belief regarding the Holy Spirit is what the Bible teaches about it. Why we don’t believe that the Holy Spirit is God? (1) Nowhere in the Bible that explicitly says that the Holy Spirit is God. (2) The Father alone is the One True God and the Holy Spirit is different from the Father. The Holy Spirit is sent by the Father in Jesus’ name. Thus, if the Holy Spirit is God there will be two Gods: the Father who sent the Holy Spirit, and the Holy Spirit whom the Father sent in Jesus’ name. Thus, the Holy Spirit cannot be God because the Lord Jesus Christ clearly taught that the Father alone is the true God and the Holy Spirit is different from the Father. (3) The Holy Spirit cannot be God because it cannot possibly be equal to God. Thus, the Father alone is the true God, and no one else besides Him. The Holy Spirit is the “Helper” who the Father (the One True God) sends. Therefore, there is no “Trinity,” there is no “Triune God,” there is no “three persons in One God,” and the Holy Spirit is not God.